Stage 1 Sound is a professional mobile disc jockey service dedicated to quality in music, professionalism, and your satisfaction for a wide variety of events. Stage 1 Sound has an audio system with quality equipment unmatched by anyone at any price level. Also, many cutting edge unique lighting effects are available to you. For peace of mind, Stage 1 Sound is fully insured. Stage 1 Sound also can provide PA systems for up to 2,000 people for indoor or outdoor events. 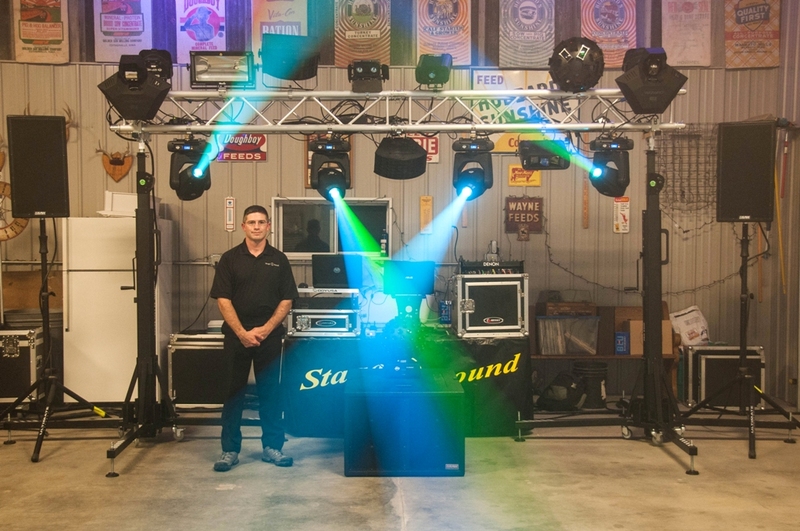 Dan Warner (owner, operator) has over 23 years of experience to bring to your event. I focus on your taste in music and the reason for the celebration.